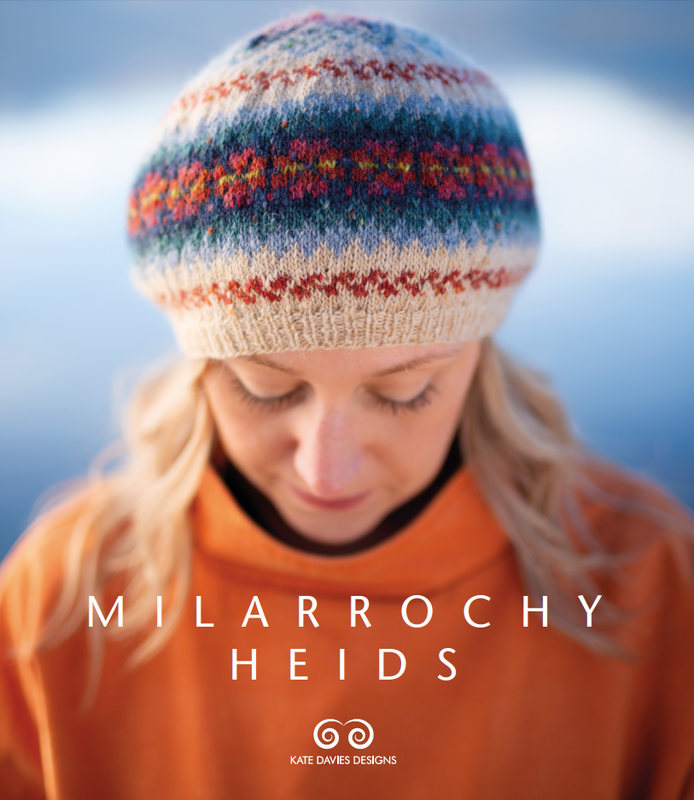 Designed by Sarah Mackay for Kate's Milarrochy Heids collection, Every Flavour features twelve shades of Milarrochy Tweed in colourfu waves which travel gently around the hat.
. . . you will also need a copy of the Every Flavour pattern from Milarrochy Heids.